I’ve used a lot of device chargers, from included wall chargers to portable powerbanks to multi-device chargers. However, never before had I used a 10 port charger! AUKEY have taken multi-device charging to a whole new level with their 10 port USB dual QuickCharge 3.0 mains charger. 4 What would I change? Although relatively simple, the AUKEY 10 port charger stands out amongst the crowd to me. At just over 10oz (just over 283g), 1.09″ thickness, 3.15″ width x 6.65″ height – this charger has a bit of heft to it despite the fact it’s only made out of plastic. Regardless of this, the main body of the charger feels rather premium – more than likely due to the clean matte finish. There are 4 rubber pads on the bottom to prevent the charger slipping around your desk when you’re plugging in/unplugging cables. All 10 USB ports are type A, but the standard and QuickCharge ports are distinguished by colour. The first 8 ports are the 2.4A adaptive charging ports and are all coloured bluey-green (almost teal). The bottom 2 ports are the QuickCharge 3.0 ports and are coloured orange. It’s worth noting that AUKEY include a silicone cap for each USB port (coloured the same as the port), to prevent dust/water entering the USB ports when they’re not being used – which I, personally, think also improves the aesthetic. 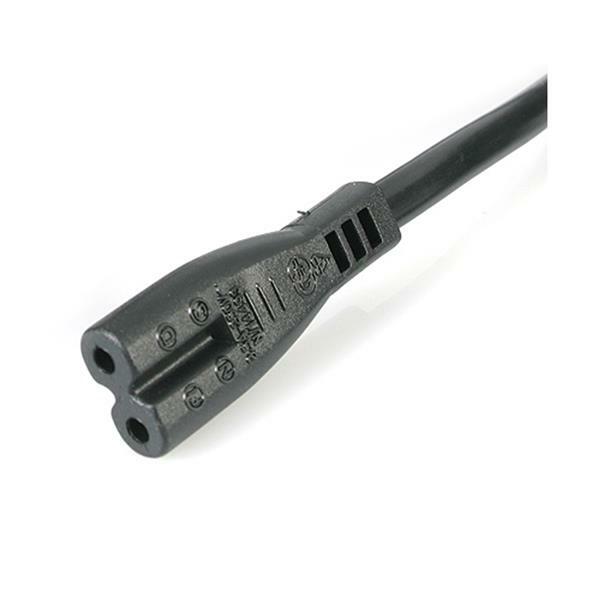 The mains cable is of the C7 type, which some refer to as a “figure of 8” or “2-pin mains” cable. Next to where the cable plugs in to the body of the charger is an On/Off switch and a small (but bright) green light next to the AUKEY logo on the top face of the charger to show whether it’s on or off. The charger performed exactly as expected. I originally purchased this device for work, as I was preparing 200+ smart devices (Samsung Galaxy Note 4‘s and Samsung Galaxy S7 Edge‘s) for roll out to guys in the field. Part of the process requires the phone to be at 100% charge and, as I’m sure you’re aware, there are only so many plugs one can borrow to charge a phone! All 8 ports ran at the full 2.4A output consistently, while the QuickCharge 3.0 did fast charge the devices. It’s worth noting that the Note 4’s are also only QuickCharge 2.0, but the ports were fully backwards compatible and did register as fast charging (finishing noticeably quicker than the other 8 devices). There’s one thing I’d change to the design of this device, and that’s the inclusion of holes in the back to allow the device to be wall-mounted. The device can only be sat on a desk and results in a LOT of spaghetti cables running everywhere. It also means that without long cables, only one person can utilise the charger (the person with it on their desk). We came up with a “ghetto repair” solution for this – using Blu-Tack/strong Velcro to mount this to the side of joint desks. So, who is this device for? In reality, everyone! If you look at how many devices the typical person/family has these days, this single charger can more than likely accomodate most if not all of them at once. From big, power hungry tablets such as an iPad – to Xbox controllers – to the entire households smartphones.